Chrome OS is getting there. What started out as a way to make an OS that runs well on inexpensive laptop components is slowly marching to a point where it may actually be a real competitor to Windows, macOS, and Linux. 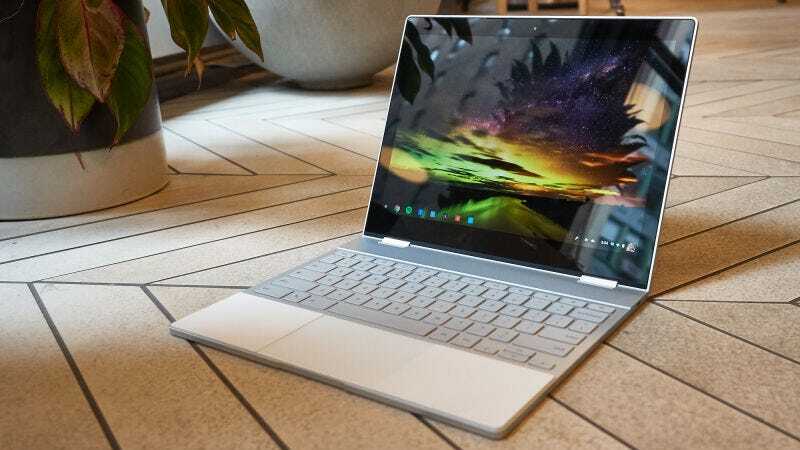 And based on a some code found in the developer preview for Android 8.1, Google’s next addition to its desktop OS could enable Chromebooks to send and receive texts. The = feature, SMS Connect, may soon let you sync a Chromebook with your Android phone so you can send and reply to texts on both devices. Just to be clear, this shouldn’t be confused with Allo, a separate Google messaging service that uses your phone number as login credentials. Image via @newseleven_in on Twitter. But SMS Connect only highlights Google’s confusion when it comes to messaging. Between Allo, Hangouts, Android Messages, all the chat services built into Google apps such as YouTube, and now SMS Connect, it feels like Google is continually tackling a tiny piece of the messaging world, instead of trying to make one app that can do everything well. What’s more: Based on some other code Ars Technica found alongside SMS Connect, there’s a chance the new texting feature will only work with Pixel phones, leaving the rest of the Android phone world out in the cold. SMS Connect sounds like a step in the right direction, but Google still has a long way to go before it’s figured out a real solution to messaging and making Chrome OS a more full-featured operating system.